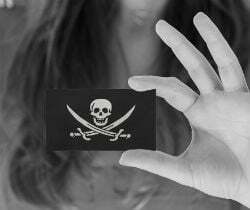 People who run 'pirate' sites out of Russia have been given a final warning by the government. Amendments to local copyright law that come into force May 1 not only protect more content than ever before, but also contain provisions to permanently block sites that continually make unauthorized content available. Following massive pressure from both local and international rightsholders, 21 months ago Russia took steps to improve its reputation of going soft on piracy. On August 1, 2013, the country introduced a brand new intellectual property law which provided a mechanism through which sites could be blocked by intermediaries should they not comply with rightsholder takedown requests within 72 hours. A year later telecoms watchdog Roscomnadzor revealed that during the law’s first year of operation the Moscow City Court imposed preliminary interim injunctions against 175 sites following copyright complaints. It went on to block just 12 file-sharing domains for being unresponsive to takedowns, many of them BitTorrent trackers. With complaints from copyright holders continuing to mount, Russia decided to make further amendments to the legislation. Initially only video content was covered by the law but with an expansion scheduled for May 1, 2015, all multimedia content (photographs excluded) will receive protection. Furthermore, the law also amends the provisions on preliminary injunctions. Although it remains unclear how the new system will work in practice, the theory is that intermediaries (ISPs and webhosts) can be ordered by the Court to permanently block websites that continually host or provide access to infringing content. At least at this early stage it appears to be the kind of system U.S. copyright holders are pushing for elsewhere, one in which content that is taken down, stays down. With the new law just over a week away, State Duma Deputy Speaker Sergei Zheleznyak has been underlining the legislation’s reach. “The anti-piracy legislation that created the ability to block access to sites that distribute copyright-infringing films and TV shows entered into force on 1 August 2013. On May 1, 2015 amendments to the Act will come into force that apply to music, books and software,” Zheleznyak says. Putting operators of torrent and similar sites on notice, Zheleznyak issued a stern warning. “I would like to warn those who are still abusing piracy: you have until May 1 to try to and enter into constructive dialogue with rightsholders. They are open to cooperation,” he said. Russia’s first attempt at site blocking legislation failed to produce the apocalyptic conclusion many predicted. Only time will tell what the results of these latest tweaks will mean for local sites.